The Deinonychus – or ‘Terrible Claw’ in English – was a carnivorous dromaeosaurid dinosaur. These is only 1 described species. This dinosaur lived during the early Cretaceous Period during the mid-Aptian to early Albian stages, which was about 115 – 108 million years ago. 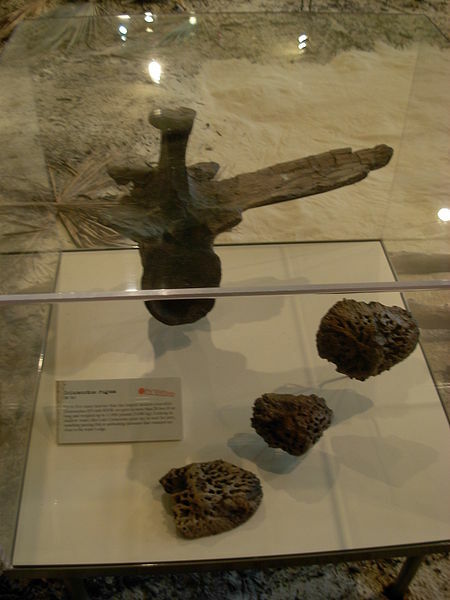 Its fossils have been found in Oklahoma, Wyoming, and Montana in the USA in the Antlers Formation and the Cloverly Formation. 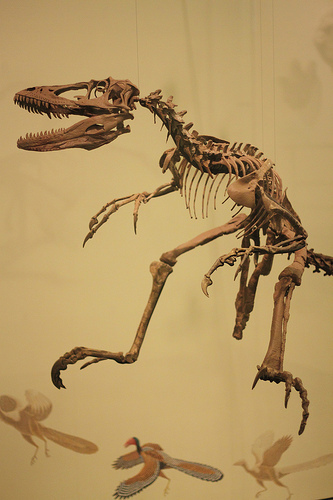 Work by John Ostrom’s study on the Deinonychus in the 1960s lead to the ‘Dinosaur renaissance’ as it revolutionised the way that the scientific community thought about these ancient creatures. Before Ostrom’s work, there was a popular concept that dinosaur were just plodding giant reptiles. However, during his study on this dinosaur, he found that the Deinonychus had a sleek and small body with a horizontal posture. The large raptorial claws and ratite-like spine suggested that this dinosaur was an agile and active predator. The Deinonychus was called the “Terrible claw” because of its unusually large talons that were sickle shaped. These talons were present on the 2nd toe of each hind foot. Largest known fossils found of the Deinonychus indicate that this dinosaur could reach up to 3.5 metres long, had a skull of at least 410mm, and had a hip height of 0.87 metres. 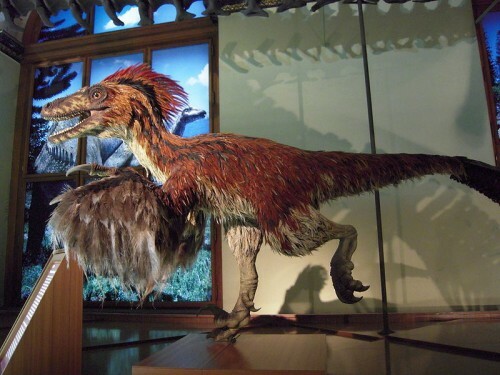 The Deinonychus is estimated to weigh about 73 kg. Its jaw was rather powerful, and had 60 curved teeth which were almost like blades. Although no Deinonychus fossils have suggested that these creatures had feathers, Scientists still believe that it did. give us a utahraptor slide, please.